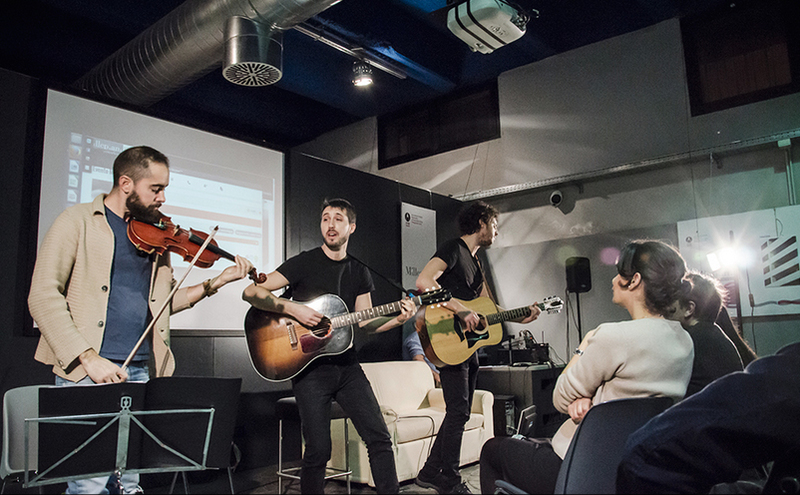 Millepiani is an open space of 400 square meters, which includes an event space (100 seats and projection screen), a meeting room (15 seats with plasma screen), and several desks for startups and coworkers. A space for innovation, which promotes collaboration, serendipity and a cross-disciplinary approach, an authentic platform to convey shape to new business ideas, expand your professional network, and strengthen your projects. Millepiani è un open space di 400 mq, che comprende uno spazio eventi da 100 posti con schermo per proiezioni, una sala riunioni e formazione da 15 posti con schermo al plasma, postazioni fisse e temporanee per startup e coworkers. Uno spazio innovativo, che promuove la collaborazione, il networking libero e l'approccio interdisciplinare. Una piattaforma, trasferita in una community reale. nella quale presentare nuovi business, espandere il proprio network professionale e sviluppare progetti. 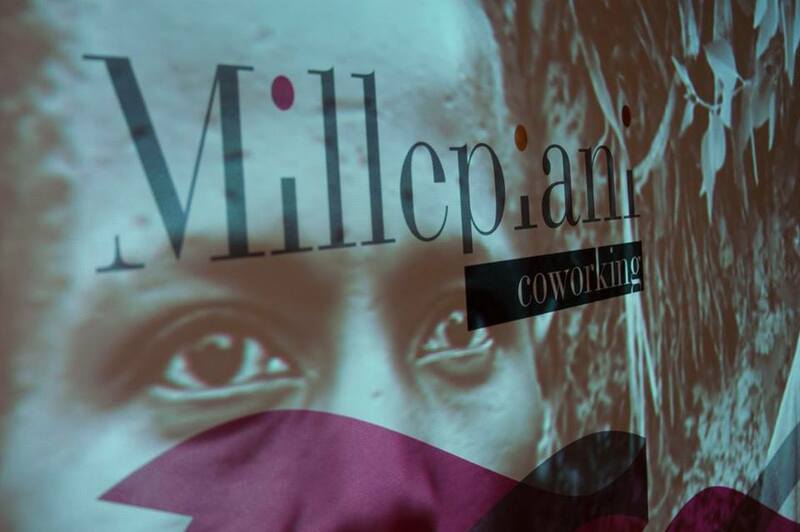 Are you a member of Millepiani Coworking? 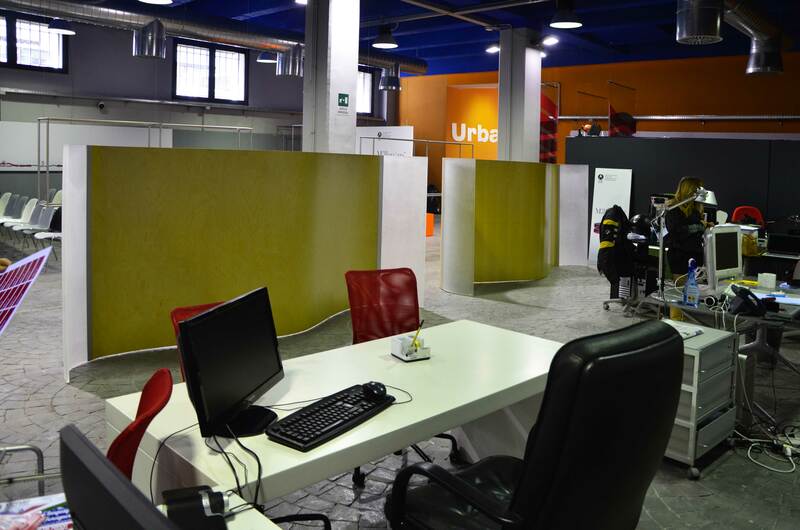 "One of the best Coworking Space in Rome!!" I have known Millepiani Coworking Space thanks advice of a friend. This a wonderful space. Many people are meeting there for working or exchange tips. The responsible is very polite. I love this place and I'll come sure here more often!! I definitely recommend this place if you are in Roma and try to find place for working!! Super amazing place for productive work, friendly pleople and welcoming environment!! You won’t be regret!! 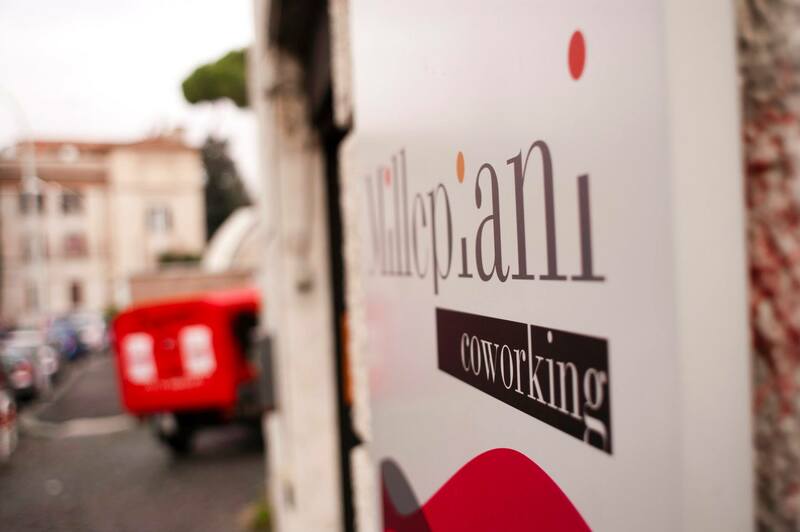 "Such a welcoming Coworking Space "
Millepiani Coworking has become a distant family. The space is quaint and welcoming. Everyone has been friendly and open to share themselves and resources. As I am from Atlanta, Georgia I felt at home and will be coming back to visit soon. I was able to be very productive in their space and their available snacks helped me stay in one place and continue working. Their artwork allowed me to be appreciate others art and I am excited to be showcased in their facility in April for the "Document Environment" Project. Will be recommending the co-working space to any future tourist. "Great work and networking space!" I had a great and very productive time working at Millepiansi Coworking space. The people are so warm and make you feel welcome to work there. It is also easy to meet new people and to network. The internet is also stable and fast. The work environment is spacious and comfortable. I recommend this as a great coworking space for helping you to focus and get work done but also to interact and meet some new people if you would choose to do so. It is also situated in a great area in Rome - Garbatella, and if you feel you need a break just go for a walk in the neighborhood. Also good coffee and snacks for half a euro. Reception: Felipe made this place extremely welcoming. Overall: From morning to the evening people working in a quiet place. Atmosphere: converted rationalist building, art exhibitions, workshops and events are stars. Decor: standard communal tables and seats, as well as a small isolated meeting table and private desks. Amenities: Internet gives a smooth ride, pantry is stocked as well as located in an area where food is in abundance. Printers and cables are also available should you require. Cleaness: amenities are clean. Time limits: for someone that has to work late hours for conference this was one of the few places that stays open post 19:09. "Visiting Rome and had very good experience working at Millepiani"
I am a programmer from Latvia. I was visiting Rome for few days and was in need for a place to work. I found Millepiani Coworking on internet and went there to check it out. It is a very good and welcoming place, it was quiet and had a good work atmosphere. I was also welcomed by a manager who kindly explained everything I needed to know. As I stayed only few days I did not need to pay for anything (this place is partly supported by Rome city council). If you stay longer, the price is very affordable (70 euro / month). There was a nice kitchen where you could get tea, coffee and some snacks for donation. Fast and good quality internet. Overall a very good experience. I also met some people and got some business contacts there. If I come to Rome again, I will definitely come again. Thank you very much! The first time my team went to millepiani we were welcomed with attention and care. Good atmosphere and perfect set up for creative brainstormings and workshops. The Garbatella area is also very special: full of green and silence, with nice bars to break from your working day. I can only recommend Millepiani because of the space, the people who are managing it and the open minded and solidaric philosophy ruling their work. It is mostly free and it offers snacks and beverage for a symbolic fee. wifi is fast. spacing is good for teams from 3-12 people Gioacchino gargano, united nationsworld food programme communications division. "Un po' coworking un po' casa!" Il MIllepiani è un luogo magico, dove entri e ti senti al posto giusto, al momento giusto :-) Persone sempre disponibilissime (Felipe e Silvia in primis), che ti accolgono e mettono a disposizione tempo, spazio, conoscenze. Non è solo un Coworking dotato di tutte le attrezzature necessarie, è un insieme ricco e variegato di umanità ed energie, dove lavorare, creare, scambiare pensieri, anche imparare e sperimentare stili di vita "consapevoli"! Frequento il Millepiani da 2 anni e sono grata alle persone che lo gestiscono con cura, amore e passione. Millepiani is a magic place, where you get in and you feel "at home". "The best coworking in Rome"
A very nice place to stay for work. Comfortable location (a few minutes walk from the nearest metro station), the large and cozy working area with big tables, comfortable chairs, fast very internet (the first thing which is most important to me). Millepiani Coworking сovers all required for the traveler who works remotely. Most of Rome coworkings offer different monthly basis plans, this one has a daily which I was looking for. The staff is very friendly. I had a great experience visiting this place, thank you for such an amazing area. I will recommend this place to my friends. "Your success is their priority"
The first time I ended up at Millepiani I met the two fantastic and generous hosts, Felipe and Silvia, and I understood that the place was full of positive energy. Then I discovered, beyond a cozy and flexible space, an amazing community of high-level skilled professionals ready to listen to you, to share their experience and learn from yours. Thanks Felipe to have invited me to lead a laboratory to coach young Millepiani coworkers along their entrepreneurship process. You gave me in such a way the opportunity to attend o special place, a place where projects come to life. One of the most collaborative, effective and inspirational place I ever met. At Millepiani people feel really welcomed, unfortunately it is not so obvious… Here, they will listen to you, try to understand your needs, put you in touch with the right coworkers and they will extract from their impressive network the right contacts. 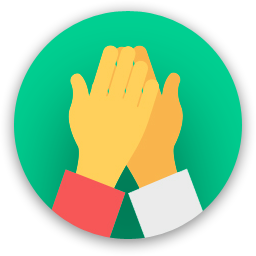 If you need help here you will find inspiration, partners, solutions,… human participation and friendly support. Furthermore, something is happening around all the time, events, training on cutting edge technologies, art and photography exhibitions… it’s a real boost for creativity and innovation. And then l'Alveare Millepiani will propone to you vegetables, meat, milk, honey , ... from small producers. 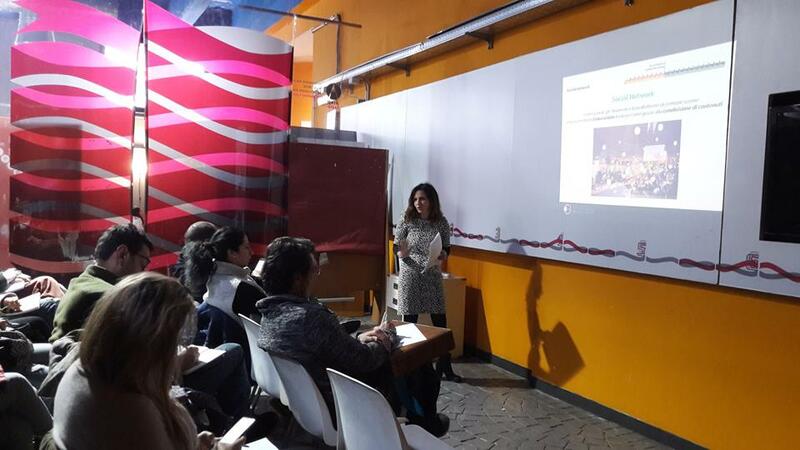 As a Makesense international community member, I contributed to the organization of successful events hosted at Millepiani on social business and circular economy. We found there a qualified and reliable partner, digital marketing skills at the top, a well functioning logistics, audiovisual resources and competencies and … creative food solutions. "Le idee hanno una casa"
Il bello di frequentare un posto come il coworking Millepiani, sta nel fatto che ci si trova circondati da persone con tante idee. Le idee sono merce preziosa. Le idee possono rendere le nostre giornate più belle e interessanti. Le idee generano altre idee, amicizie, connessioni, relazioni. Aiutano a vivere meglio e a capire di più. Ecco, il Millepiani è il rifugio naturale per chi cerca uno spazio privo di pregiudizi e ricco di idee; un luogo sapientemente animato da Felipe e Silvia veri maestri del networking e persone di indubbia disponibilità e generosità. Ogni giorno prendendo il caffè nello spazio breakfast o a pranzo, tutti insieme nel kitchen lab si possono ascoltare storie nuove e stabilire relazioni. Insomma uno spazio ideale per attivare iniziative, partecipare a quelle altrui, trovare i partner per i propri progetti ... se avete bisogno di grafici, copywriter, sviluppatori di software, registi, sceneggiatori, consulenti aziendali, project managers, non dovete far altro che cercare tra i tavoli o sulla piattaforma di condivisione slack. 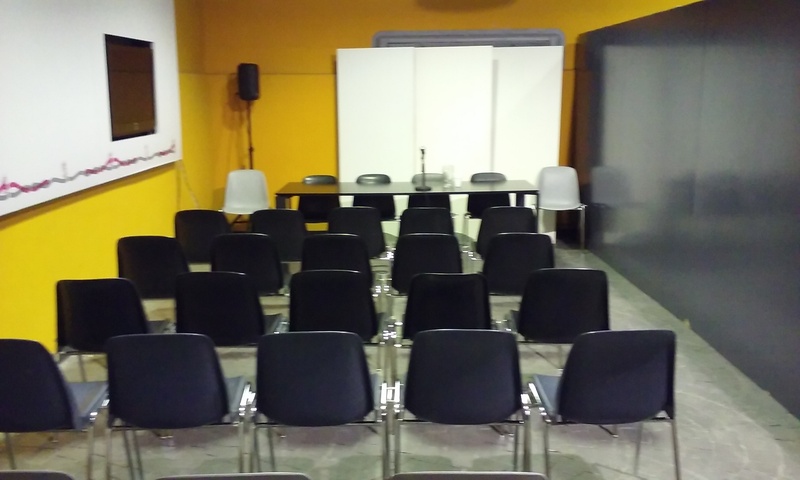 Le postazioni sono in open space ed è presente anche una saletta riunioni e una sala formazione prenotabile a richiesta. E' un posto vivo, non c'è un silenzio tibetano. 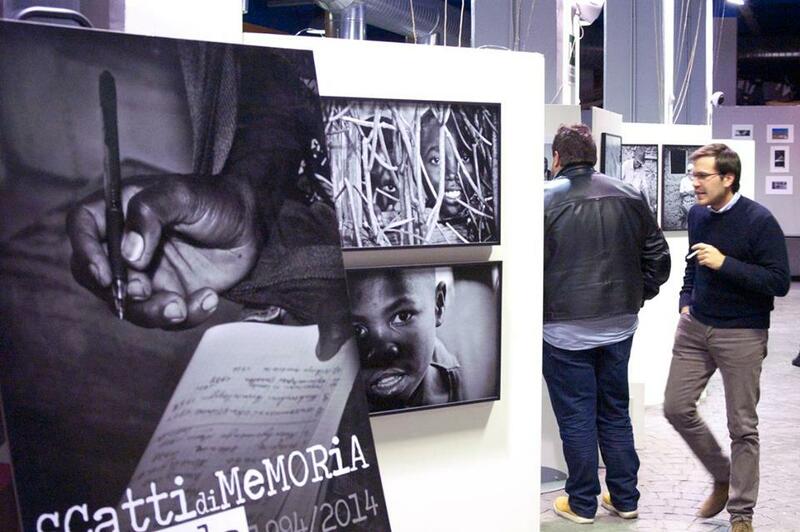 Periodicamente gli spazi comuni sono utilizzati anche per mostre fotografiche e iniziative territoriali. La location a Garbatella lo rende facilmente raggiungibile e collocato in un quartiere trendy ricco di storia e ristoranti. Connessioni internet di ottimo livello. 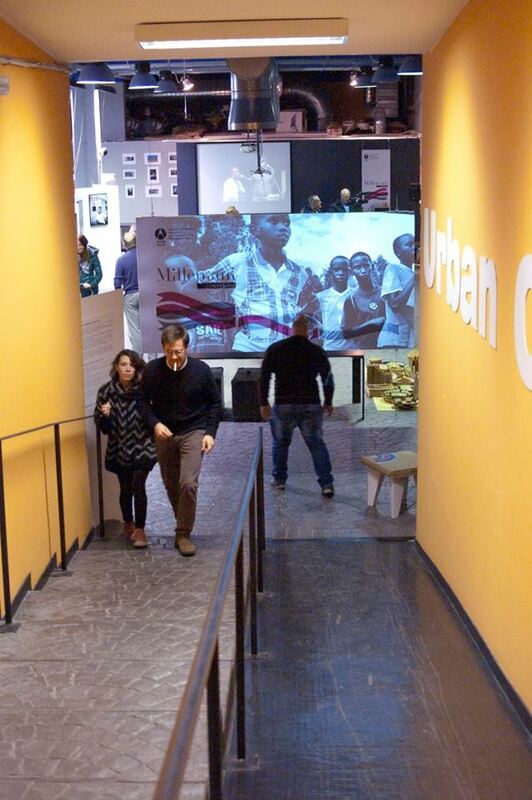 "Millepiani Exhibition Space in the heart of Rome !" 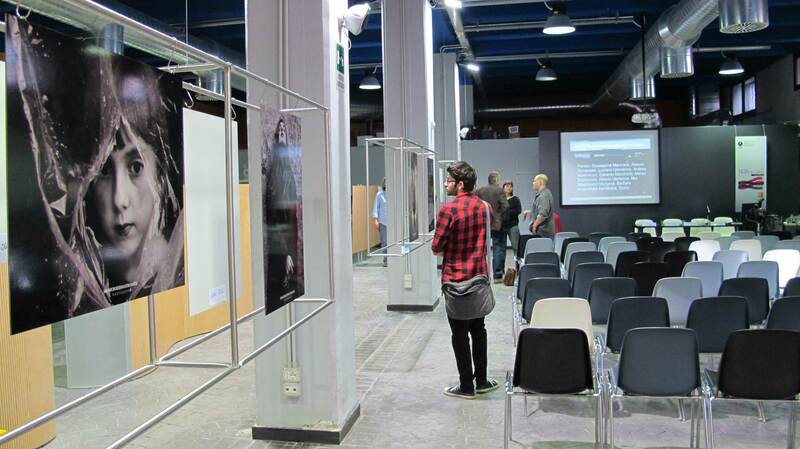 "Millepiani - Exhibition Space in the heart of Rome"
Millepiani è il miglior coworking in cui sia mai stata. Un ambiente bello, esteticamente e umanamente. Felipe è super gentile, i coworkers sono collaborativi e le iniziative nascono di continuo. Sono una futura counselor e ho avuto l'opportunità di utilizzare uno spazio per svolgere il mio tirocinio. Uno spazio protetto da sguardi indiscreti, che mi ha consentito di accogliere a mia volta persone che ne avevano bisogno. Ho usufruito di tutto quello che mi veniva messo a disposizion, come appetini e sedie. Inoltre è un ambiente tranquillo, silenzioso e, allo stesso tempo, molto vivace. Tornerò a settembre e spero di avviare nuove collaborazioni. 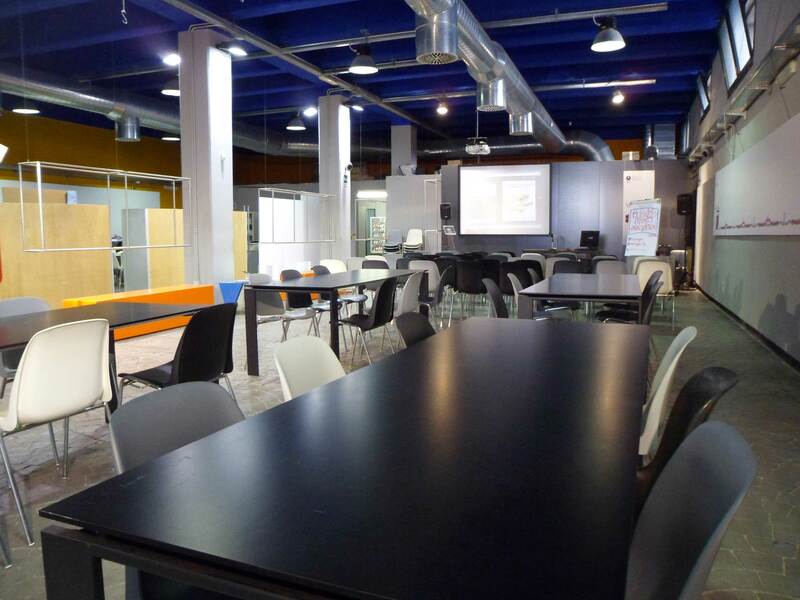 "Top coworking space - 5 Stars"
In the heart of roman neighborhood Garbatella, Millepiani is an amazing place where you can work and share knowledge with other professionals. There are many stations and dedicated areas (for meeting, training and professional events) equipped with monitors and projector. There is also a break area with coffee and snacks. Interesting training courses and photography exhibitions are also held here. In this place I I have known people who help me in my job and my activities. The staff is friendly and prepared: they can help you for any problem and necessity. If you are in Rome, you have to came in this place.
" Amazing People and Staff "
All I can say about this place is that once you learn to know it, you found a new home. In a Rome suborn you can find a beautiful atmosphere where to share ideas personal skills or where to chill after a hardworking day. 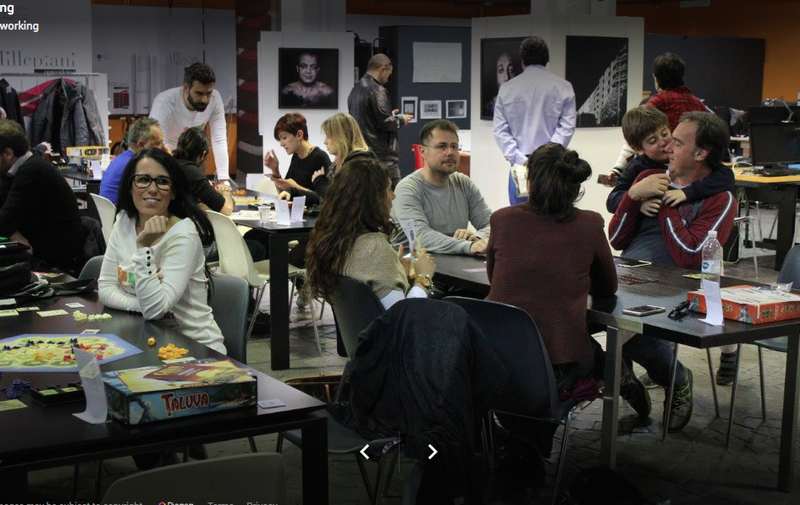 We can really talk about social innovation and networking with Millepiani Coworking. You can have very good WiFi connection,food or beverage but most importantly: it never leaves humanity behind. It is a place whefe you can find pretty much every professional you are looking for and they are always going to have a good word for you. If you have some ideas to share,WE will greet you with a big smile on our face! Thank you Isabella! She's a very young videogame developer and translator too, an amazing mix that we've had the pleasure of meeting! Thank you so much for that amazing review Giulia! It's a pleasure to meet you :) She's about to embark on a new project.But shhh!! is top secret for now..
Millepiani coworking is where you can work quietly, meet startup or professionals, enjoy your lunch with other people and let yourself be contaminated by exciting experiences and projects. It's in a wonderful area of Roma, called Garbatella, just in the centre of the city and 5 minutes from metro. Here is where I found one of the cofounders for my project two years ago and is where I work hard to let it grow, so I will always be grateful to this place and its managers (particularly Felipe and Silvia) for all they have given me. 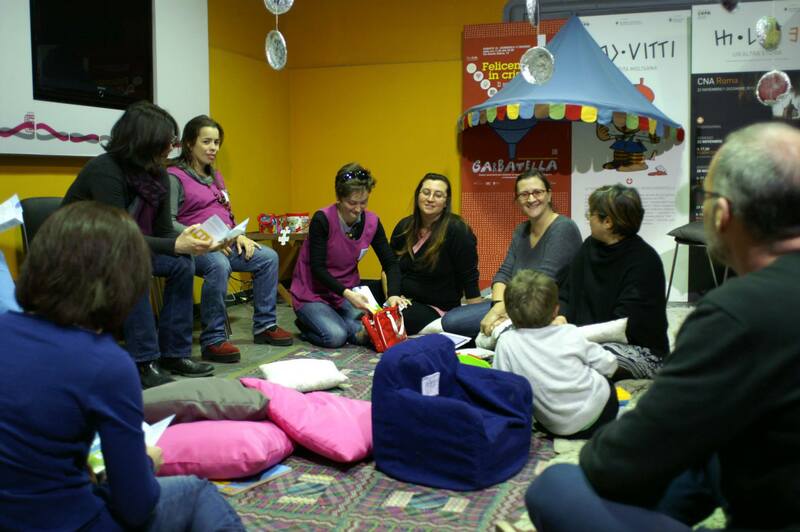 Millepiani is not only a simple coworking... it's the coworking experience! Catello is a precious digital marketing consultant and much more. One of the pillars of the coworkers for creativity, kindness and accuracy. Greatest storyteller too. Thanks a lot! I was invited to lead a weekly Qigong morning workshop for several months in 2018 and I absolutely love the space, the coworkers, the atmosphere, all of the events and opportunities they offer to anybody who’s Interested in improving community and environment. I totally recommend Millepiani as a working place and as a place to live and explore: the space is always tidy and clean, toilets are perfect, the working area is silent and lively at the same time...and coffee is really good! Not to mention sweet and savory breakfast and snacks, brought in fresh daily and at a super super cheap price. Everything was fine and all the people were very kind. The best place for working in a community l. Sono grato di aver condiviso lo spazio di lavoro con tutti. Per me che lavoro nel audiovisivo è un ottimo luogo di appoggio. Tutto il le sonate è veramente gentil e cordiale, anche il fatto di poter usare la cucina è geniale. Raccomando questo posto a tutti coloro che hanno bisogno di una base dove iniziare la propria start up. Ringrazio tutti per il supporto ricevuto. Un saluto dal Canada. Gracias por todo su ayuda fueron 6 meses fantásticos Saludos a todos. Gabriel and Nicolas are filmakers, now in Toronto to produce their movie. Good luck!!! I have visited a lot of coworkings in Brazil and in Italy... and Millepiani is the most friendly coworking where I have ever been. It has the best staff, they make you feel very welcomed. The persons socialize a lot. It has a good espresso coffee and good tapas with extremely cheap prices. The tables and chairs are comfortable, the space is well decorated and inspiring. It has also a shared bike to the coworkers. The location is good, it's near a subway station and it has restaurants nearby. The way the coworking is managed is very innovative as well. Wille for President!!! A big hug :) He’s developer and collaborator of OpenStreetMap, he was a gift from Coworker.com! "Best co-working space in Rome!" I love Millepiani Coworking!! Millepiani it's a beautiful open space warehouse based in Rome! It's not just a common space to do some work, but it's also an exciting environment full of highly skilled professionals of various industries (designer, illustrators, developers, video productions, scenography etc etc etc..). The place is very friendly and well organised, I been working at Millepiani for about one year now and I've definitely improved my life style; before I was working from home (about 5 years) and I was getting crazy. I highly recommend Millepiani co-working space, I truly love this beautiful place! See u there! "One collective floor with thousand floors inside"
Millepiani is the best cowork in Rome, a nice place where find concentration, professionalities and friends. I was been here for more then one year and I will stay as I can, because i found the right place to do my work. You got kitchen, meeting rooms that you can book as you prefer, and even art exhibitions. Moreover Millepiani it is in very heart of Garbatella one of the best neighborhood in Roma. Millepiani is the best cowork in Rome, a nice place where find concentration, professionalities and friends. I was been here for more then one year and I will stay as I can, because i found the right place to do my work. You got kitchen, meeting rooms that you can book as you prefer, and even art exhibitions. Moreover Millepiani it is in very heart of Garbatella one of the best neighborhood in Roma. "Innovation and collaborative place in Rome"
Hello, I've been working in this space and I found highly and skilled professional people, I spend most of my time working on my own, however during my free time I attend to all events regarding innovations, sustainability and green economy. The place is well located in the middle of the Garbatella, historical area and it is surrounded by a lot amenites. The Millepiani offers several solutions for staying here, they are very flexible and available to find out a solution that suits your needs. Something to highlight is the aircon management, it is never too hot and it helps you to focus on your work. Thank you Sebastiano !!!! He is a MySQL & Oracle certified administrator between Rome and London, but above all he brings us a lot of cakes!! I'm traveling overseas for both work and for exploration. I was in Rome and after seeing the city, needed a few days to knock some work out. Found out Millepiani, emailed, they invited me down. It's about seven minute walk from the train station, a lot of local markets to get snacks and lunches from. I was warmly greeted, Felipe is in charge, really, really nice. I was given a tour and an espresso, they even have sweets, water, etc. A fridge if you need to store a lunch and clean bathrooms. I was ready to work. I sat at one of the two long tables, plenty of space, plenty of plugs, wifi was good, temp was good. I was there for a full eight hours the first day. I was looking forward to coming back the next day. Day two I arrived earlier, I had a big day ahead, to my surprise more people than the day before, but still plenty of seats. To me this was good, the energy was high and the buzz got me energized to get some work done so I found my place and got to it. To me, this place had everything I needed, all your basics, no distractions and full of people who are there to work!! "Non te ne vorrai più andare!" Non appena varcherai la porta del Millepiani sarai travolto dall'energia e dalla positività di Felipe che ti farà sentire a casa. location silenziosa per lavorare.. ma se dovessi aver bisogno di una pausa, Felipe e Silvia hanno pensato proprio a tutto: potrai accomodarti nell'accogliente bar che hanno creato, consumare caffè e qualche spuntino dolce o salato e fare due chiacchiere con le altre menti creative che popolano il Millepiani! 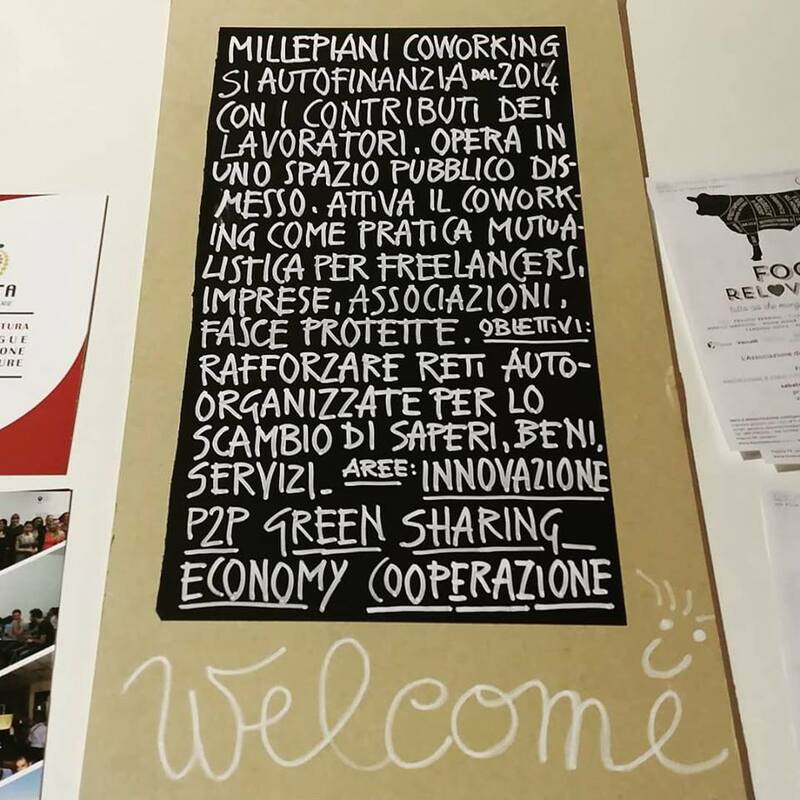 "The place to be for a social startup in Rome"
Millepiani Coworking....I can't say anything different from what people have posted right now. 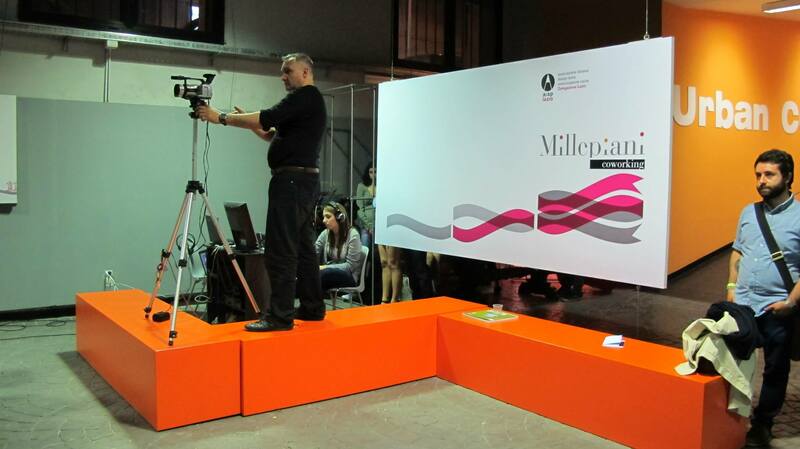 Millepiani is not just a coworking, but much more. For us: a house, a little family, and an important center to develop our business in Rome. I have the pleasure of leading a startup based in Torino, and every time we have to take care of our network in Rome, we pass through millepiani. The hosts are amazing and they will use all their energy to solve your problems Thanks to exist, and thanks for continuously bringing to Rome a good source of social innovation. Eugenio represents L'Alveare che dice sì the italian network of communities buying fresh food directly from local producers and farmers, an important testimonial. Thank you! 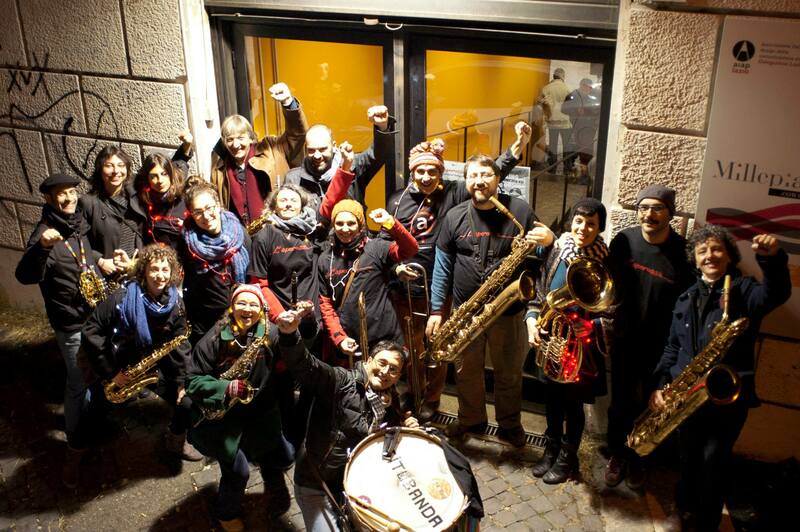 "A place where you wanna stay"
Laura presiding the ‘Movimento per la Decrescita Felice’ (MDF) of Rome to built, organize and manage degrowth movements rooted in the territory, a rare pearl. Thank you! Un posto accogliente in uno dei quartieri più belli di Roma. Millepiani è un luogo di incontro, scambi di idee, chiacchierate, lavoro e creatività. E' un posto dove ci si può concentrare e allo stesso tempo incontrare persone piene di idee nuove! Consiglio una visita! il giovedì c'è anche L'Alveare, prodotti a km0 e a volte anche un bicchiere di vino da assaggiare! She knows a lot about permaculture :) Amazing coworker, thank you! "Warmest place and professional contact"
Stefano is a great Maker of Everything, meet him in Roma Makers space, very happy neighbours! Thank you! "la silicon valley della garbatella"
Luca is co-founder and CEO of SciamLab, an engineering company based in Rome, specialized in open data. Amazing coworker, thank you! "Disponibilità, solidarietà, scambio di idee, eventi. Professionisti di tutti i settori, con cui entrare in contatto per il proprio progetto." Se stai avviando una start up e cerchi un ufficio da cui iniziare a lavorare per il tuo progetto, questo è il posto giusto. Una postazione tutta tua a bassissimo costo, circondata da professionisti di ogni settore, dall'ingegnere, allo psicologo del lavoro: dall'informatico allo specialista Seo o Social Media. C'è chi ha appena avviato una piccola impresa commerciale, chi ha fondato una community on-line. E tu puoi entrare in contatto con chi vuoi per apprendere nuove informazioni, avviare una partnership, trovare le risorse che ti servono. 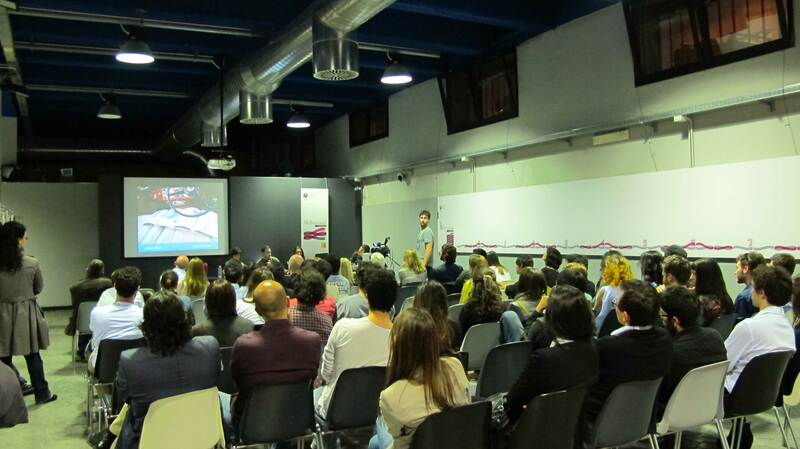 Un live networking da aggiungere alla tua rete. Due sale per meeting e conferenze dotate di proiettori. Connessione wi-fi potente. Eventi e incontri mirati per le piccole imprese. Aperitivi. Poi la cucina: il caffè, la pizza e l'acqua a cinquanta centesimi, il forno a microonde. 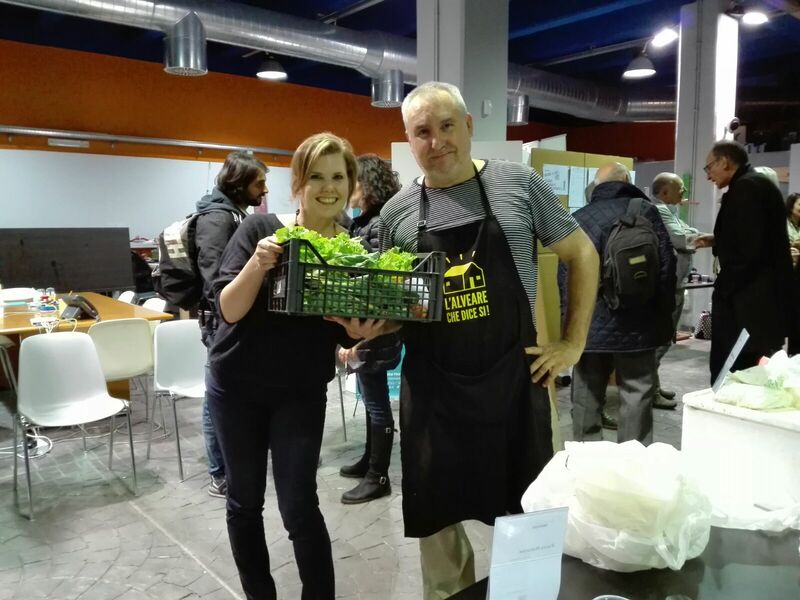 Una volta al mese, verso sera, il coworking Millepiani si trasforma in un mercatino alimentare a km0 dove puoi comprare prodotti genuini e autentici su ordinazione. La cosa bella è che tutto questo avviene in un ambiente silenzioso, discreto e pulito, adatto a lavorare. Andrea is very dear to us, a multitasker coworker :) Thank you! E' il perfetto luogo di lavoro dove coesistono professionisti provenienti dai settori più disparati. La diversità diventa scambio e incentivo e ogni giorno è ricco di iniziative e novità stimolanti. Ognuno si muove autonomamente seguendo la propria strada professionale in un posto che diventa non solo luogo di lavoro ma anche punto di riferimento e fonte di stimoli e energie positive! Gli ambienti sono comodi e gli spazi perfettamente organizzati, ottimo Wifi, ottimo cibo, bagni sempre puliti, sala riunione, sala conferenza, zona bar, zona ristoro e molto altro ancora! "MillePiani is thousand of opportunities "
A big place with air conditioner, a little kitchen and a lot of smile and friendship. Excellent Wifi, very comfortable, young people and a lot of opportunities to make networking. MillePiani is like a family where everyone can find his own place, alone or together. Alessandro is a psychologist, a good ally...Thank You! Paolo is an archeologist, co-founder of Una Quantum inc. one of the more collaborative coworkers! Thank You! This is a young IT genius, he's 17! Amazing coworker, thank you! 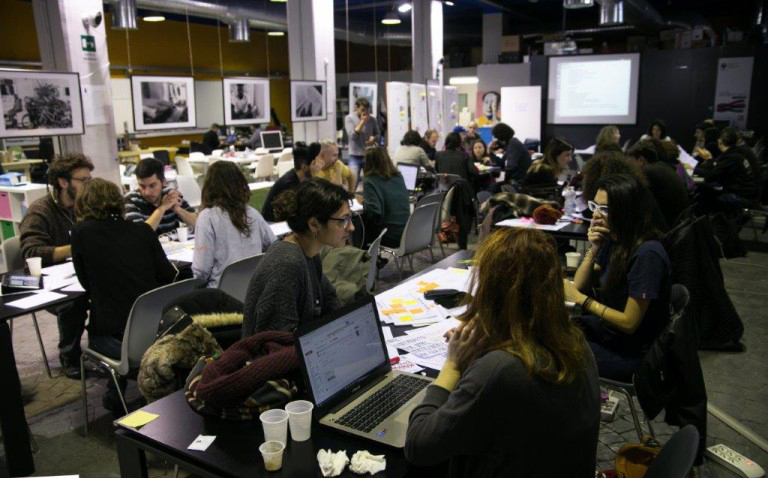 Non solo offre lo spazio ideale per riuscire a sfruttare al meglio le proprie capacità lavorative, ma soprattutto rende il concetto di coworking come un ambiente creato per trovare supporto e creare ogni tipo di collaborazione/amicizia tipico di una comunità. Millepiani Coworking is defientely the best place not just to focus on your own work but also to create connections, a unique gem in Italy. She's our lovely cook!! !..but also a makeup-artist of FX prosthetics. Don't worry, cakes are not in latex :) Thank Youu!! It's been a very good experience.No fussy things only hands on activity,helpful attitude and , obviously collaborative environment. Millepiani is a great place to work. I found a very familiar yet professional atmosphere. The location is simple but it's comfortable. Definitely I would suggest this Coworking, especially if you use to work alone at home: you could find great collaboration or inspiration in there! "Uno dei miei luoghi del cuore"
"Once you Millepiani you can't stop!!!" Il Millepiani è uno spazio unico, dove i tempi di ognuno sono rispettati. Non c'è fretta o ansia che tenga, tutti trovano l'equilibrio giusto per svolgere il proprio lavoro come meglio desiderano. Felipe e Silvia garantiscono la giusta dose quotidiana di networking! Simpatia, accoglienza sincera, condivisione e uno spazio tutto per sè. Lasciatevi adottare da loro e adottateli, si lavora molto meglio così! Evviva il Millepiani! A Millepiani ci sono arrivata un po' per caso, sebbene il caso non esista. É stata un'amica a portarmi qui, qualche mese fa, e ne sono molto felice. Qua, a Millepiani, ho trovato un'atmosfera stimolante, gente di talento e simpatica, disposta a dare una mano, e anche qualche idea per portare avanti miei progetti Poi, tutto (cibo, wi-fi, ecc) in modo tale che il lavoro scorra. Inoltre, gli eventi che organizzano mi hanno permesso di conoscere altre persona sulla mia stessa lunghezza d'onda. Insomma: Millepiani è stata una bella svolta! Spoil yourself with deep fried pizza in a small restaurant close by owned by a man from Napoli! Un posto meraviglioso. Comodo per lavorare, gentilezza e rapporti sociali facilissimi, interessanti e produttivi. Una bellissima sorpresa a due minuti dalla fermata metro B Garbatella ! grazie ragazzi per l’accoglienza! fate un ottimo lavoro, tenete duro! Sulla piazza vicina c'è un'ottima gelateria. Don't be afraid to say hi. People are working but happy to say hello. Don'r miss speaking with Felipe, Enrico and Silvia! Garbatella is one of the best block in Rome to know the real city, history, food and people! Talk with Felipe to make you feel at ease and comfortable. You may find coffees, supermarkets, and small typical restaurants. The area is very cheap and close to the city center (only 2 stops from Colosseo). 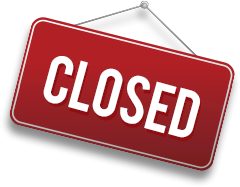 Millepiani Coworking will be in touch with you soon to confirm. Millepiani Coworking has received your membership enquiry and will be in touch with you soon.